Our new £5 million garden centre in County Antrim has been declared open this week, by the Mayor of Antrim and Newtownabbey . 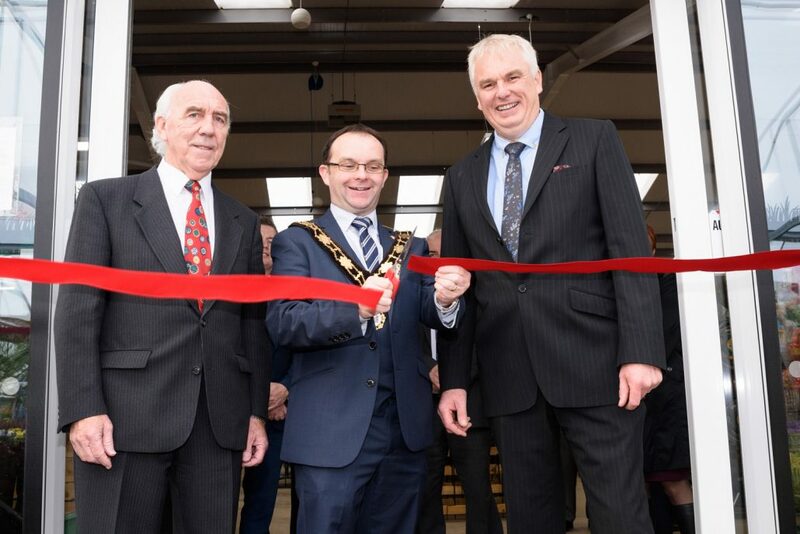 Colemans Garden Centre, which earlier this year announced its multimillion pound renovation project, was opened by Mayor Councillor Paul Hamill at the event on Tuesday 24th October. Providing entertainment at the official opening of the garden centre in Templepatrick were members of Templepatrick Primary School Children’s Choir, who were joined by customers and guests who joined to celebrate the official launch of the new 23,000 square feet under cover site. The initial stages of Colemans investment project will be followed soon after, by phase two of the renovation plans – an additional 32,000 square feet of retail space in Easter 2018.